For a while, my twins were obsessed with Rice Chex Cereal. Seriously, they thought it was the only food group besides milk. And to be honest, I did not mind. After all, it was less messy then some other food choices. So I stock piled up on Rice Chex…only for them to decide that Kix were where it was at… story of my life. So, nobody in my house wanted to eat this cereal, and we had BOXES of it. BOXES! So my husband brought up one of his favorite snacks from when he was little. Muddy Buddies! 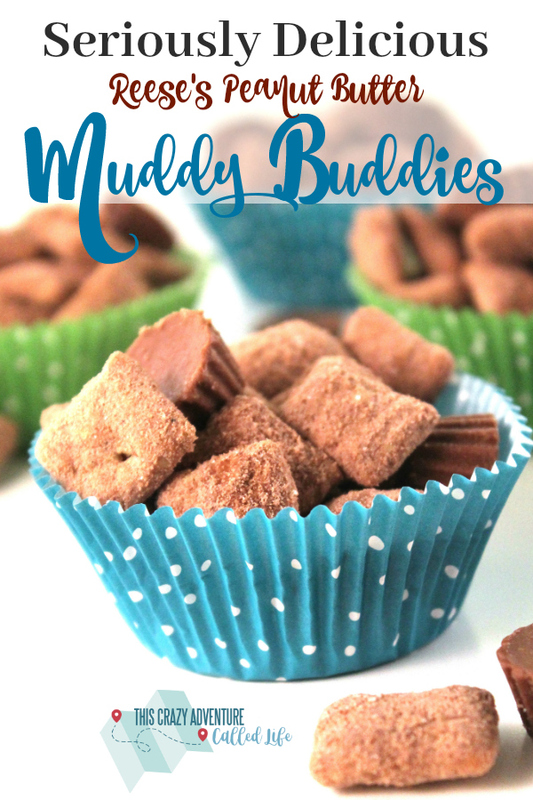 And since then, we have made Muddy Buddies anytime my kids want something different then the same old snacks. 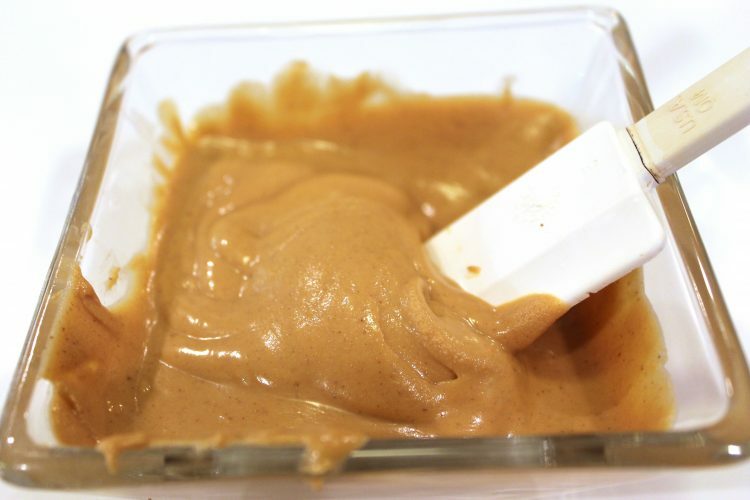 The kids love making them, and everyone loves eating them. I am almost convinced they are the perfect road trip snack… almost. 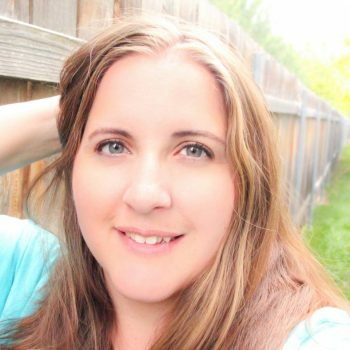 But of course, my husband always likes to mix things up and see how he can change things. So being a fan of peanut butter, Reese’s Peanut Butter Cups, and Muddy Buddies, this was sure to be a favorite for him. And he wasn’t alone. 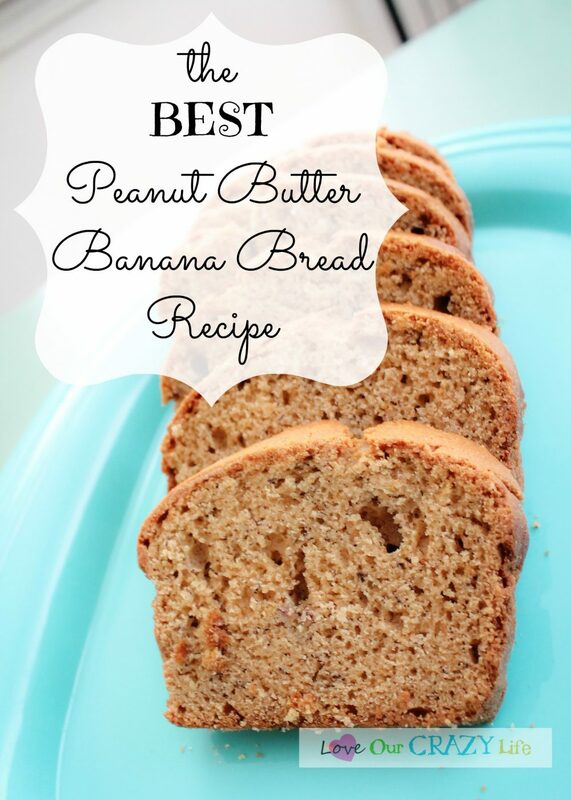 These are yummy for the entire family. So grab your kids to make these, because it is super easy and a whole lot of fun. 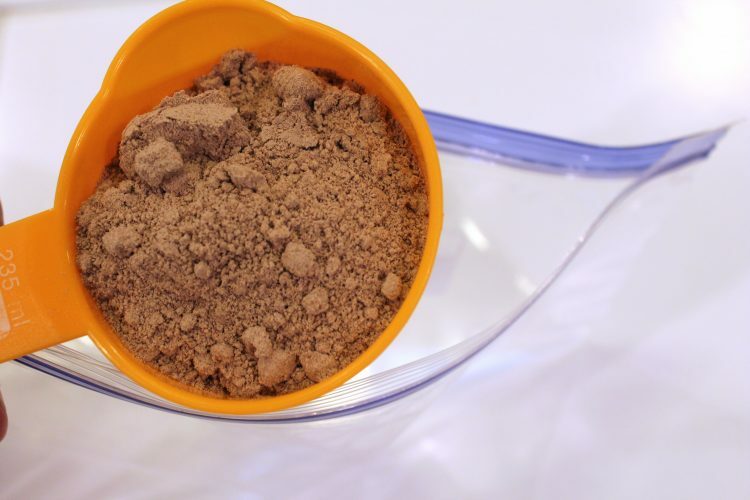 You will never go back to the same old Muddy Buddies recipe again after trying them. 3. Place 1/2 cup of Betty Crocker Fudge Brownie Mix in a gallon ziplock bag and add 1 tablespoon of sugar. Mix well. 4. 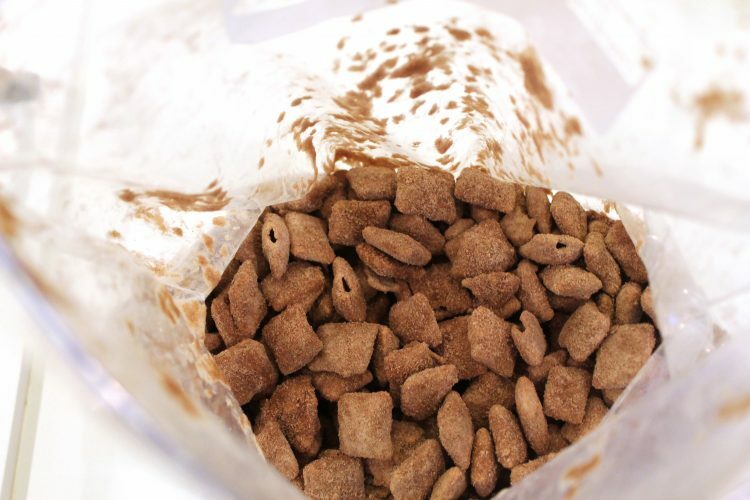 Remove Peanut Butter coated Chex cereal from bowl and put into gallon ziplock bag with brownie mix and sugar. (Kids will love this next part) Seal the bag and shake well. All peanut butter-coated cereal needs to be covered. 5. Line a baking tray with wax paper, pour the muddy buddies onto the tray evenly. 6. Allow the muddy buddies to dry completely before combining. 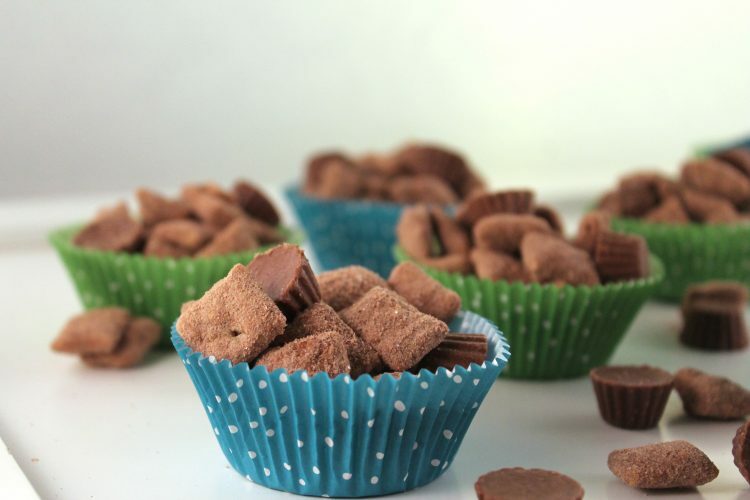 Add embellishments (Reese’s Peanut Butter Mini’s) if desired. Approximately 8, half cup servings. 4. 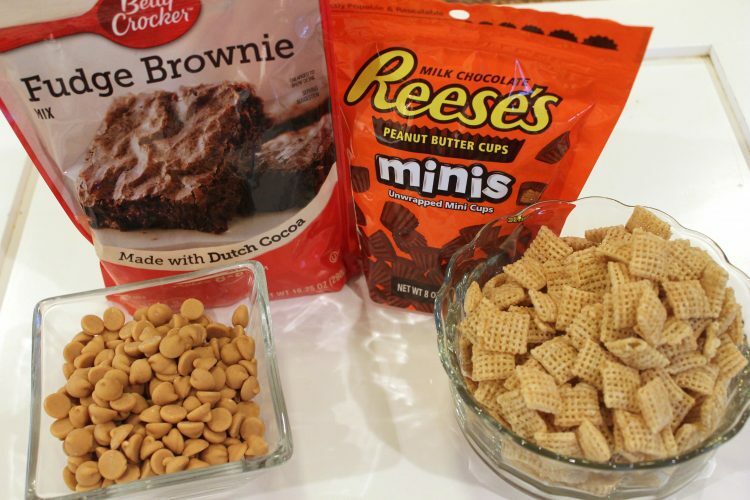 Remove Peanut Butter coated Chex cereal from bowl and put into gallon ziplock bag with brownie mix and sugar. Seal the bag and shake well. All peanut butter-coated cereal needs to be covered. 6. Allow the muddy buddies to dry completely before combining. 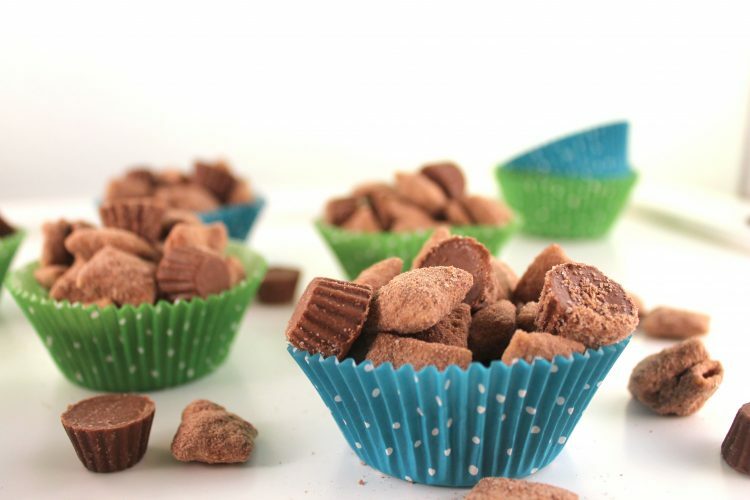 Add embellishments (Reese's Peanut Butter Mini's) if desired. **Store in an airtight container. Approximately 8, half cup servings.